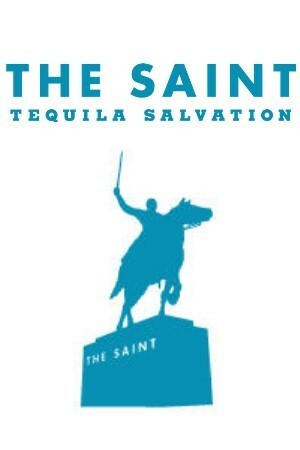 The Saint, which, according to the menu, promises "Tequila Salvation." More than tequila (of which there is plenty—over 80 different bottles of blanco, reposado, and añejo), the Saint offers warmth (white lights and walls, wood, a tiny, cozy bar) and an earnest, if highly polished, appreciation for the flavors and traditions of Mexico. A Tequila bar that would appeal to afficionados of the good life; a place where the grapefruit juice is always squeezed fresh and the pace is a little slower; where the cocktails are built from a library of fine tequilas; where the cocina bustles with cooks making food from scratch. A place where a little bit of extra love goes into everything, an homage to the time-honored process of making one of the finest spirits on earth. 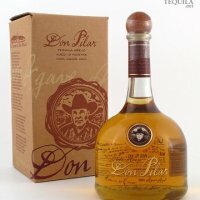 Tequila "library" is right--there's more than eighty bottles on the shelves (ranging from the $5.50/glass Sauza Silver to the $125/glass Don Julio Real), plus a dozen cocktails on the menu. The Angelflower (Patron Silver, fresh mint, cucumber and housemade blue agave syrup) is light and well-balanced, not too sweet or too minty. The Honeysuckle (Sauza Hornitos Reposado with lemon and honey) is similarly smooth, and the Sayulita (Herradura Silver, Campari, and elderflower) made our Campari-loving self very happy. The To Go (Jarritos Grapefruit soda, lime, and Sauza Hornitos Plata) deserves a Genius Award for coming in the soda bottle itself rather than a glass, thereby ensuring the drink lives up to its name. The cocktails, along with the tequilas, are also available as a flight, a great way to sample three at a time.